What are buy accutane cheap online buy Gabapentin 300 mg uk core values? Well, if you’ve ever taken the time to think about what it is you value in your life then you’ve probably identified some of your core values! But I want to take it one step further and ask you: have you thought of your values as a filter for your decision making? I think it’s easy to list off things like family, love, kindness, and maybe even work as values if we’re listing the ones that come to mind. But if you think of your values as filters over each pillar of life, would your life experiences align with those values? And if not, do your values need to change? Or do parts of your life require a shift? One of my favorite practices to come back at least once a year is the practice of Core Values. And believe it or not, there are exercises to help you find out which values you truly adore and care to live your life by! This way you know you’re making decisions that align with who you are and where you want to go, engaging in relationships of all types that are truly fulfilling, and taking the necessary steps that help you live your best life. Write out a list of things in your life you want and don’t want. This exercise gives you an opportunity to let go of what no longer serves you (even the ones say you would never walk away from but know it your heart you need to) and allows you to freely write what it is that you do want without any limitations. There are no restrictions and no judgements in this exercise! Create a list of what is currently filling your cup and what is draining? Separate your piece of paper into 2 columns, with one column title “fulfilled” and the other “unfulfilled.” It’s pretty simple actually ha! From there, look at your work life, your friendships, relationships, extracurricular activities, hobbies, etc. and see what’s bringing you happiness. Identify who you are currently in this time in your life. If you don’t know who you are NOW, will your values mean anything? The most common problem I see is when my clients begin identifying values for the person they want to become and they neglect who they are now. How can you plan to be someone when you don’t know where you’re coming from? So on your sheet, write a short narrative about yourself. And continue to write uninterrupted for 5 minutes. You can even set a timer if you want! If you go over, that’s okay too. But I challenge yourself to write as detailed of a narrative as possible in order to reap the benefits of a true self-reflection. There you have it! Those are my tips for preparing yourself for Core Values work. If you’re interested in learning more, sign-up for my email list below and receive a FREE downloadable workbook on discovering your values! 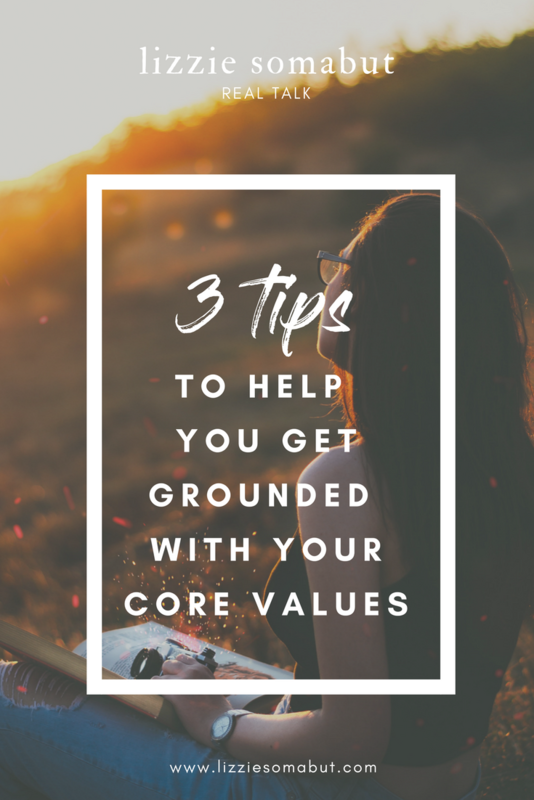 Already know what your core values are? Want to learn more about setting goals you’re truly passionate about? Look into my goal coaching packages on my real WORK page.